David M. submitted this photo and caption. This photo was taken July 24, 2010, at the Blossom Athletic Center in San Antonio, Texas. 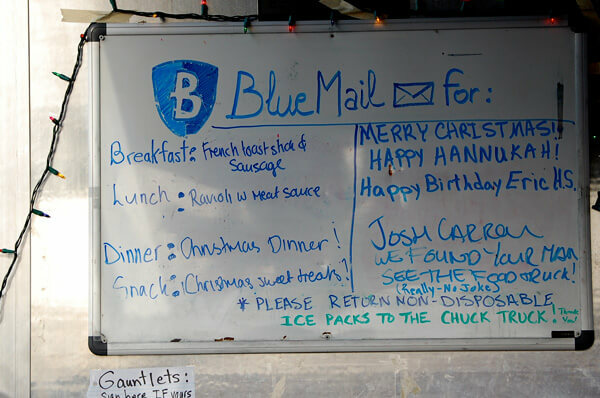 The Bluecoats had a full rehearsal day here, and celebrated a corps tradition: Christmas in July.